Gym ConneXion is a state-of-the-art addition to the Brighton Hill Community school facility. 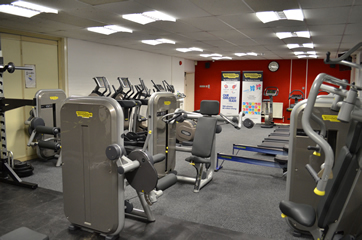 The fitness suite offers a wide range of the latest cardiovascular and resistance training equipment from Technogym. The fitness suite is staffed by a highly qualified team of fitness consultants who are always on hand to give advice, support and motivation.